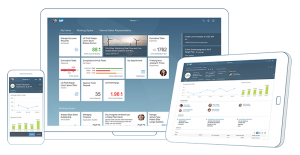 Neptune UX Platform covers the entire development, management and life-cycle of SAP Fiori UX Apps. Enabling traditional SAP developers to produce SAP applications for mobile, tablet and desktop. This component covers a unique ABAP oriented solution for developing modern user interfaces for SAP based on HTML5. Developers use a “drag & drop” designer for structuring HTML5 applications directly in their SAPGUI and use the standard SAP transport system for version control. Maintenance and modification of Neptune applications is superior to alternative IDE’s that relies on hand coding. SAP data is linked to the user interface through binding making it a simple process to add or remove fields and information from standard ABAP coding. 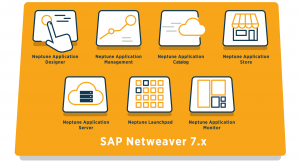 The applications can be tested either in the browser or directly in the SAP GUI with the Neptune GUI client. The solution also contains a “wrapper” that has support for testing responsive design where the application automatically adapts to the screen that the user is using. The designer also has a very effective translation feature where you can translate all frontend text in an application easily. Neptune supports both SAP’s Theme Designer and custom CSS coding to customize the visual profile so that it is in accord with the customers design and color palette. 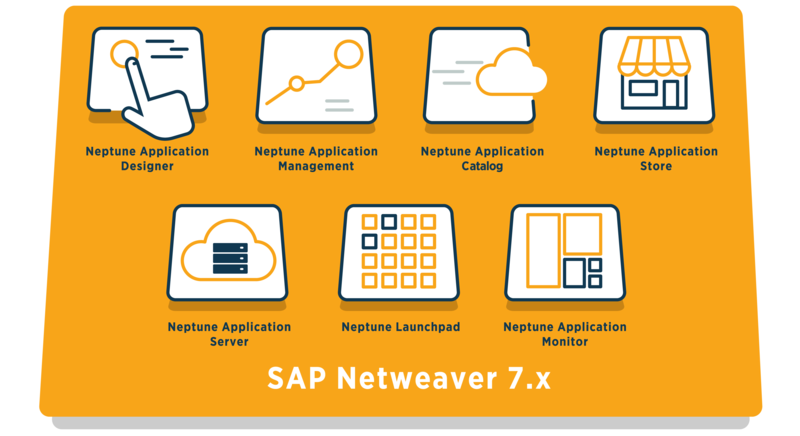 The Neptune server automatically transforms data from SAP format to JSON and compresses it to reduce network usage. This part of the solution is located on top of SAP’s standard web server ICF (Internet Communication Framework). The developer only needs to deal with internal tables and structures in SAP when linking data to the user interface. If you want the data available on the client in offline mode, you can easily configure this from the attributes in the designer. Personalize and simplify the user experience (UX) for your SAP applications. 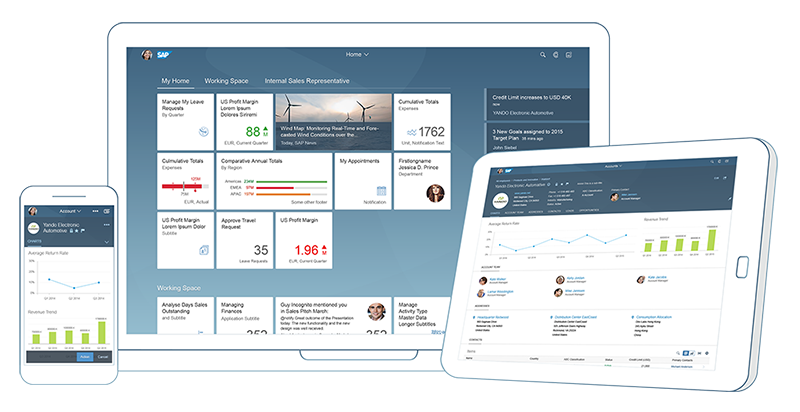 Using modern UX design principles, SAP Fiori delivers a role-based, consumer-grade user experience across all lines of business, tasks, and devices. Use SAP Fiori apps, or take advantage of new solutions that natively incorporate the UX.